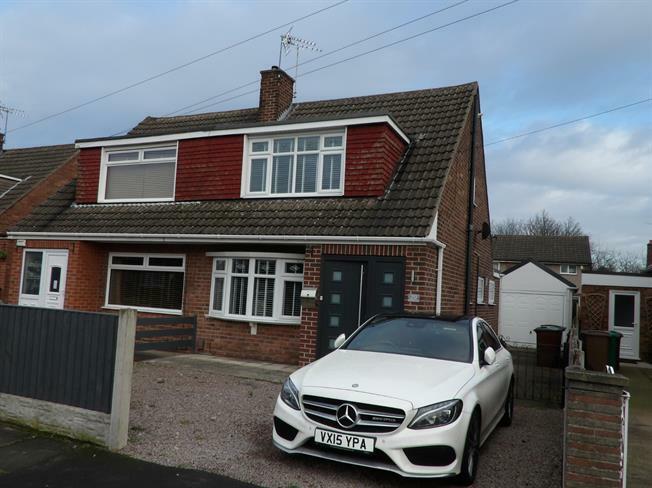 3 Bedroom Semi Detached House For Sale in Nottingham for Asking Price £200,000. Three bedroom EXTENDED semi detached home which needs to be viewed to be fully appreciated. The property benefits from a rear extension offering an amazing breakfast kitchen, gas central heating, double glazing, off road parking, substantial detached garage. The accommodation comprises entrance hall, lounge, fitted breakfast kitchen, bathroom, stairs to landing, three bedrooms. To the front there is off road parking, enclosed rear gardens, detached garage. VIEWING ESSENTIAL. UPVC front double glazed door. Radiator, stairs to landing. Double glazed uPVC window facing the front. Electric fire, original coving. UPVC French double glazed door. Double glazed uPVC window facing the side. Radiator, original coving. Roll edge work surface, wall, base and drawer units, single sink, electric oven, gas hob, space for washing machine. Double glazed uPVC window with obscure glass facing the side. Heated towel rail, tiled walls. Low level WC, panelled bath, electric shower, pedestal sink. Double bedroom; double glazed uPVC window facing the front. Radiator, carpeted flooring, sliding door wardrobe. Detached garage; up and over door, light and power. To the front there is a gravelled driveway providing off road parking for two cars. Enclosed rear gardens comprising a patio area, artificial grass.